Premium lined journal is 9.5 x 7.5 inches hardcover with 170 cream color pages. 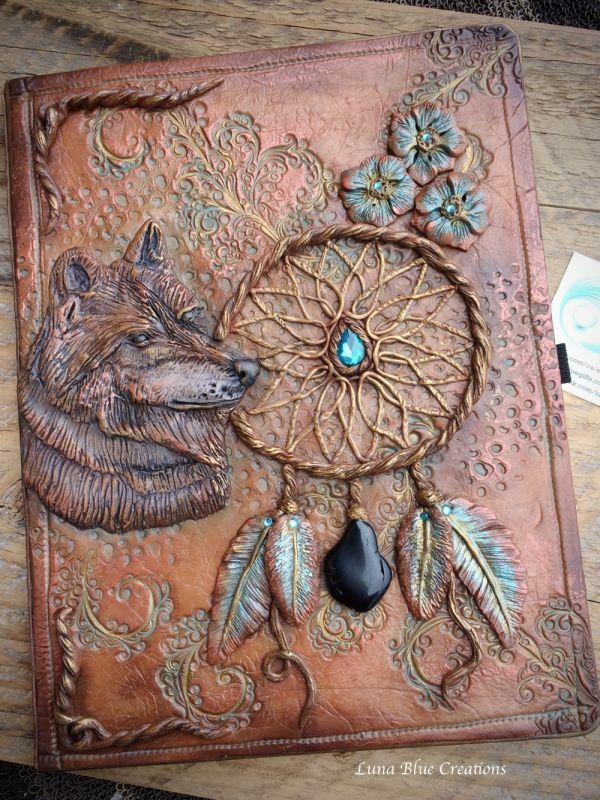 Personalized Polymer Clay Journal with Wolf, Dreamcatcher, rhinestones and black tourmaline stone. 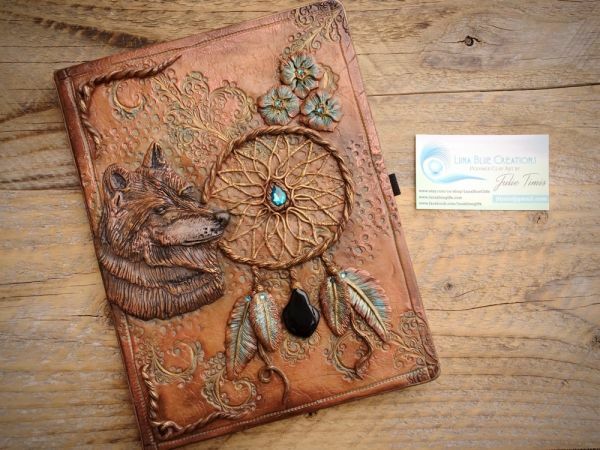 Journal is ready to be personalized. 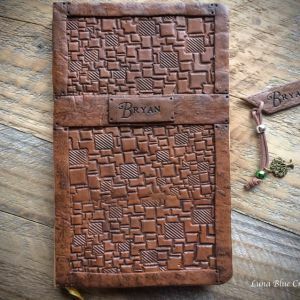 It will come with monogram bookmark. 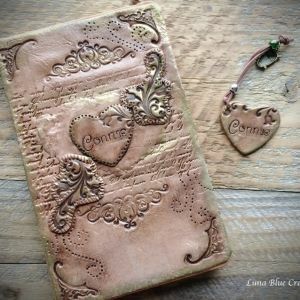 Personalized this journal with your own name your own quote. 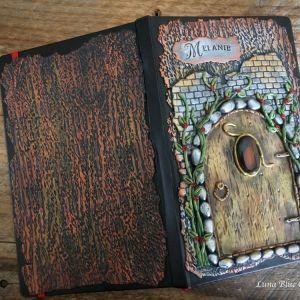 This journal is made of polymer clay with rhinestones and black tourmaline stone. 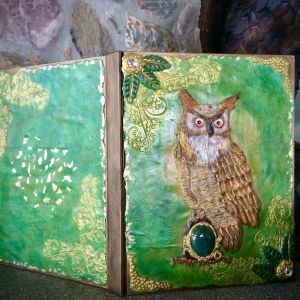 It also aid in the removal of negative energies within a person or a space. 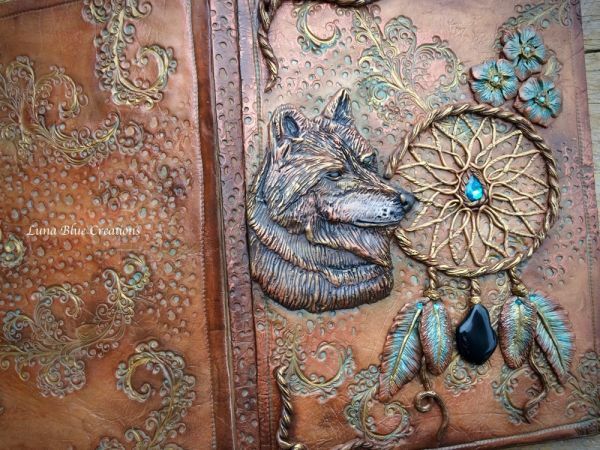 Wolf is a symbol of guardianship, ritual, loyalty, and spirit. 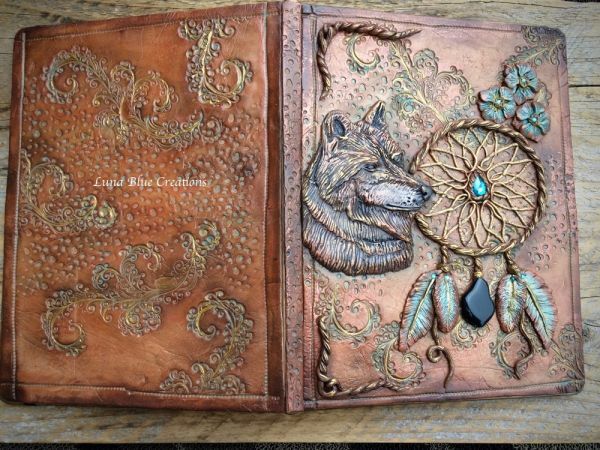 This book is large lined journal ( 9.5 x 7.5 inches), hardbound with 165 lined cream color pages.